2016/04/29 Thank you for staying! 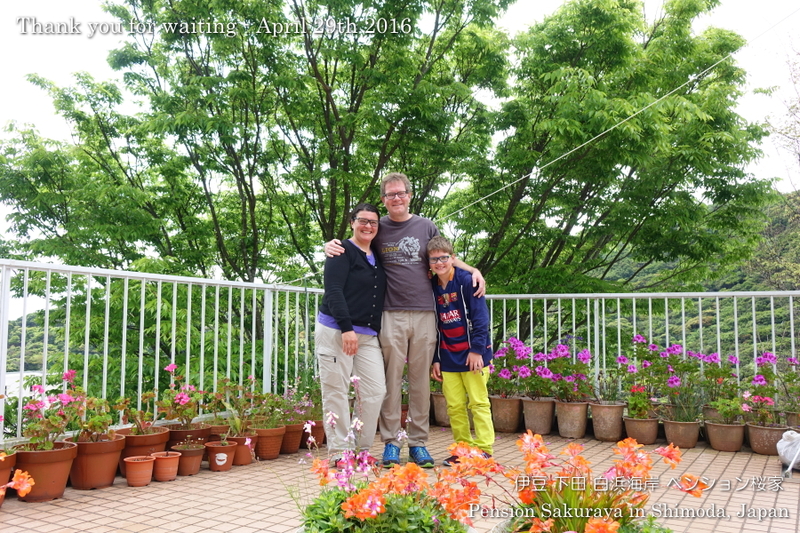 They came from Switzerland and stayed at Pension Sakuraya for 4 nights. Actually they wanted to go to Kyushu, but they had to change their plan because of earthquake. 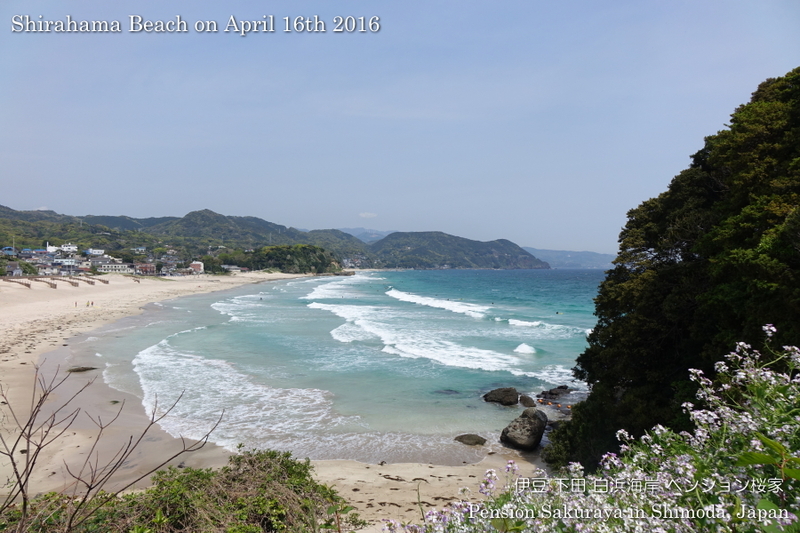 During their stay in Shimoda they went to Suzaki walking path, Irozaki cape, Hot spring and many places. 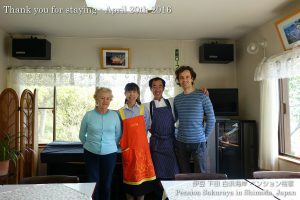 We had very good time and communication with them in English and Spanish, because she is from Barcelona in Spain. 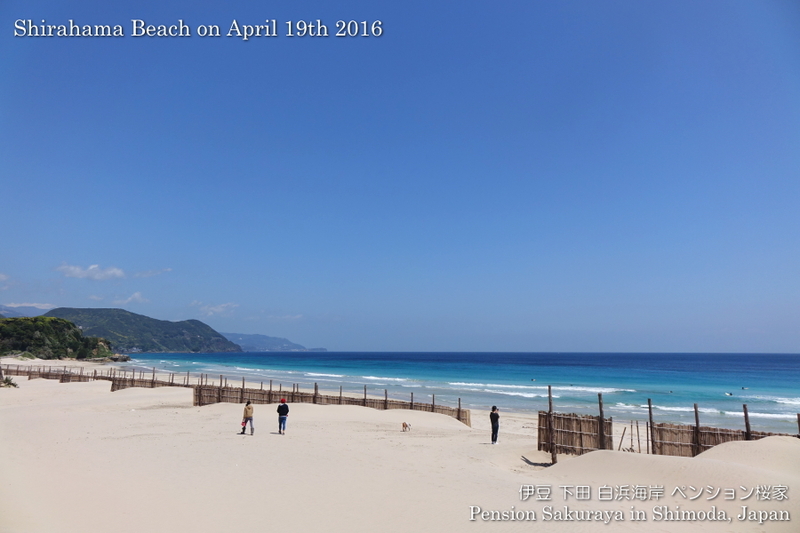 This entry was posted in Customers, Pension Sakuraya on 2016年4月29日 by izusakuraya. We had south-east wind yesterday, but it was north-east wind today. In addition, it was a little cold wind, so I put on one more jacket on top when I walked on the seaside this morning. We still had wind this afternoon, but it became very warm here in Shirahama. 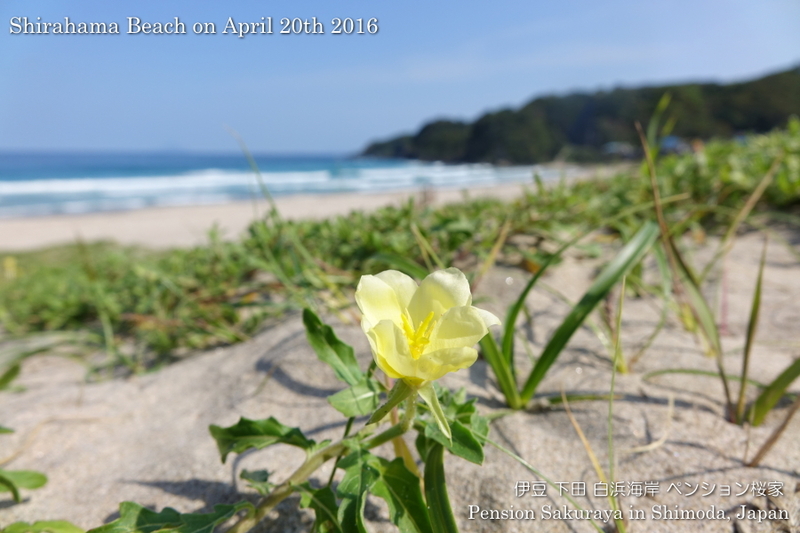 This entry was posted in beach, Flower on 2016年4月20日 by izusakuraya. 2016/04/20 Thank you for staying. 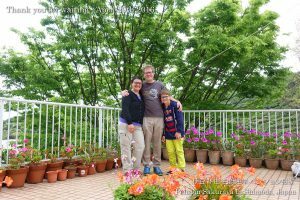 They are from Poland and he has lived in Japan since 13 years ago. So he speaks and read Japanese very well. 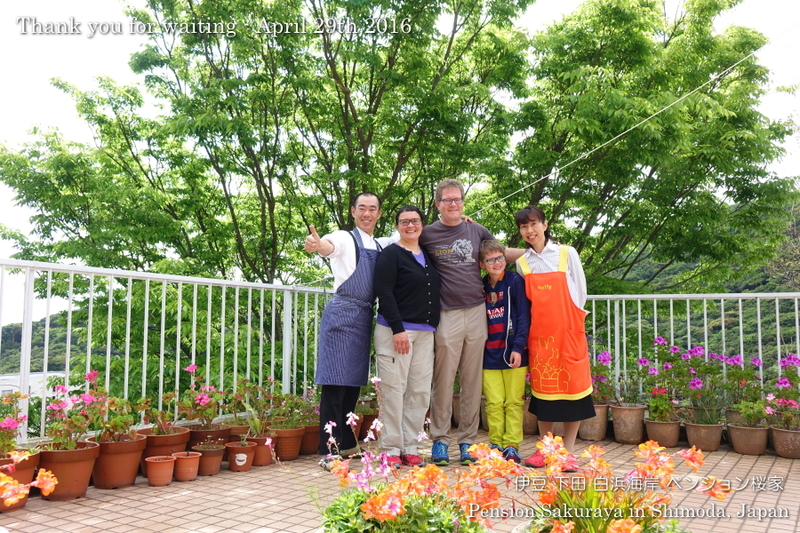 His mother came to Japan to meet him and they came to Izu peninsula for the 1st time. 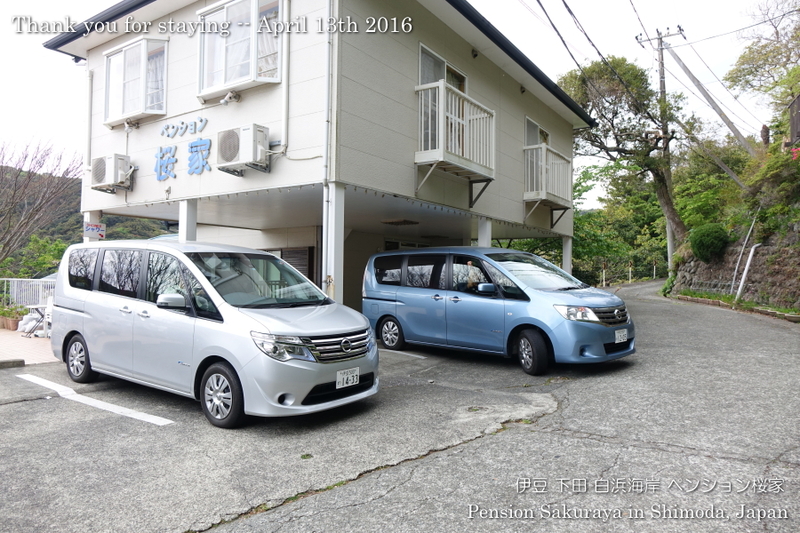 They took Shinkansen to come to Atami from Tokyo, and rented a car to come to Shimoda. They are very lucky to drive under the blue sky. This entry was posted in Customers, Pension Sakuraya on 2016年4月20日 by izusakuraya. 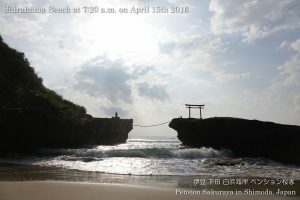 I walked on the seaside road this morning and took some pictures, but they were not so good. 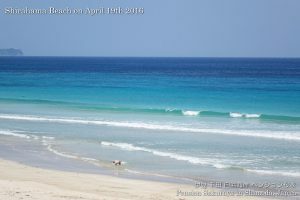 When I was cleaning the guest rooms I saw the blue water shining through the window, So I went to the beach around noon to take pictures again. 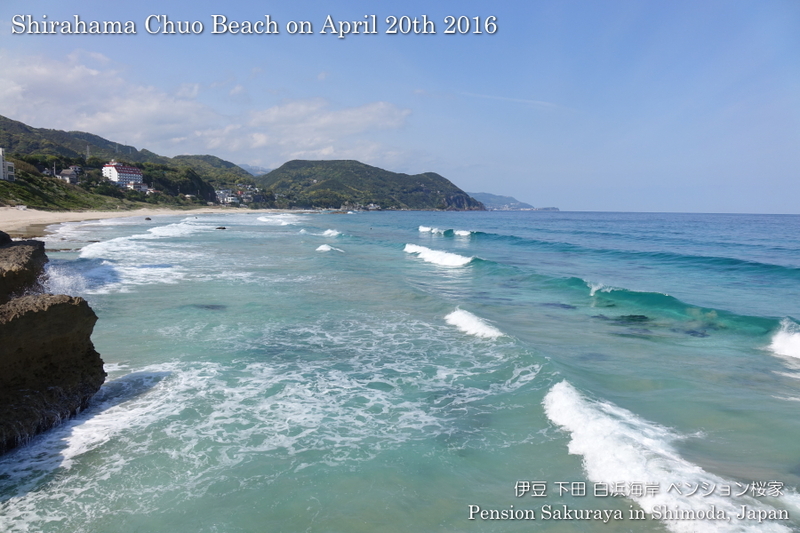 You will be very happy and be so excited looking over the beautiful sea. 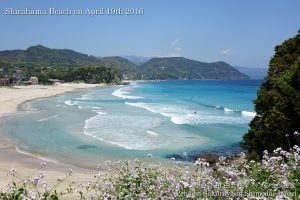 Don’t miss the gorgeous beach in this season!! 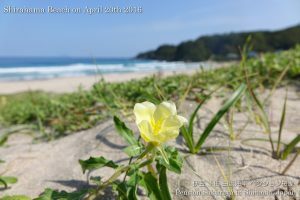 This entry was posted in beach, nature on 2016年4月19日 by izusakuraya. 2016/04/19 Thank you for staying. 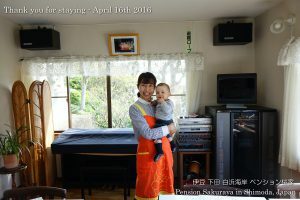 She lives in the United States and came to Japan with her own bike by plane. 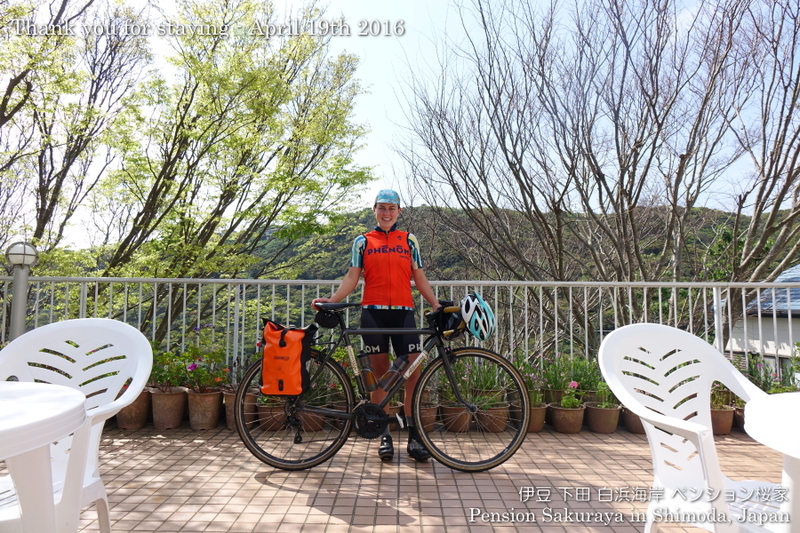 She stayed at her friend’s home in Saitama prefecture for several days and came to Izu peninsula by bike. She had rest on the 2nd day because of rain, but she went around in the southern area of Izu peninsula by bike on the 3rd day. 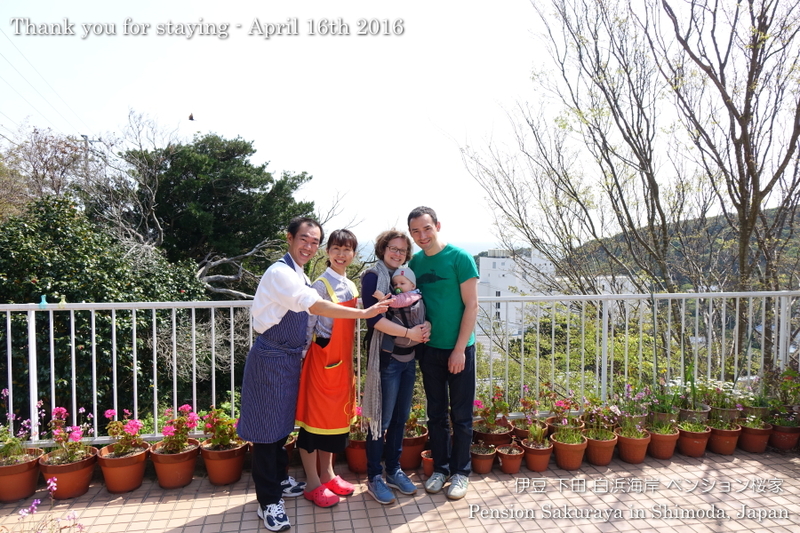 Thank you very much for staying with us for 3 nights. 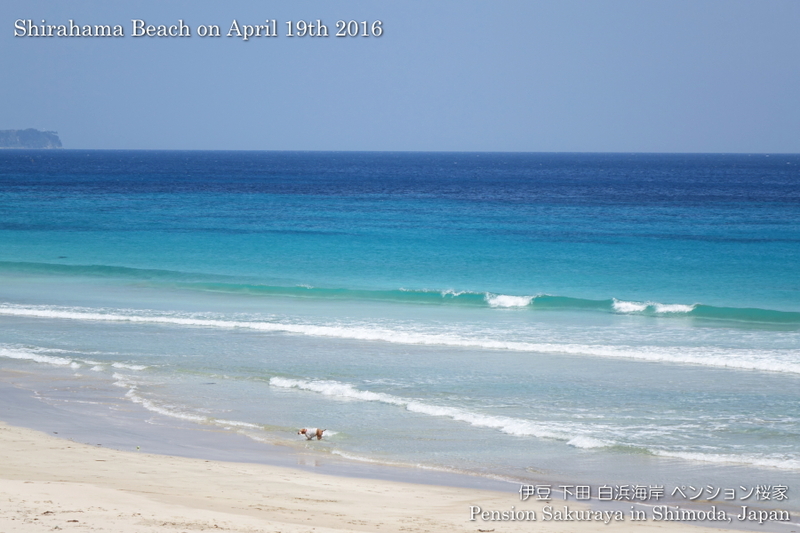 This entry was posted in Customers, Pension Sakuraya on 2016年4月19日 by izusakuraya. 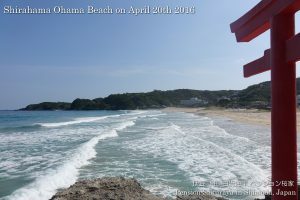 It was sunny again here in Shirahama today. 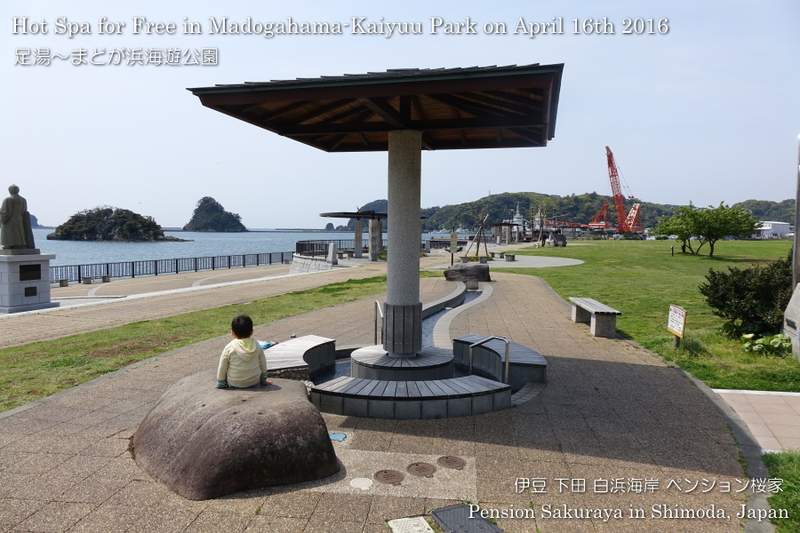 After shopping in Shimoda I went to the park on the way home. 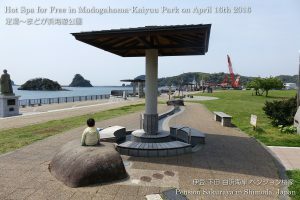 There is a park called “Madoga-hama” just in front of Shimoda harbor and you can take a free foot spa looking over the bay. Come and try this spa under the sun shine! 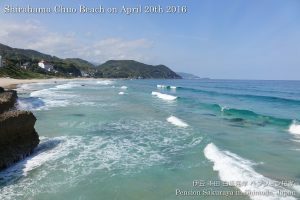 This entry was posted in beach, Travel on 2016年4月16日 by izusakuraya. 2016/04/16 Thank you for staying. They are a family with 11 months baby from Germany.. They stayed in Tokyo for several days and they came to Shimoda, and stayed at Pension Sakuraya for 5 nights. During their stay they went to Irozaki cape, Jogasaki walking path in Ito city, Kisami Ohama beach in Shimoda and a lot of places with small baby. After check out they are going to Kyoto, Koyasan, Hida-Takayama and some other places, and will leave Japan from Haneda airport. Have a nice trip in Japana! This entry was posted in Customers, Pension Sakuraya on 2016年4月16日 by izusakuraya. I took these pictures when I took my son to the school this morning. 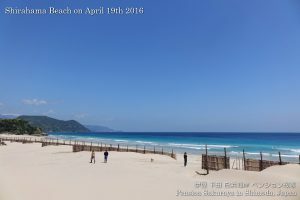 We had rain yesterday, but the blue sky came back to Shirahama today. I hadn’t had enough time to take a Nordic walk in these days because we have been very busy since a week ago. That’s why I’m putting on weight little by little. 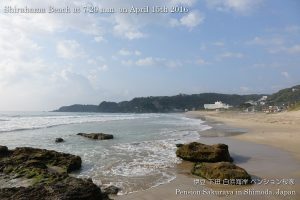 This entry was posted in beach on 2016年4月15日 by izusakuraya. 2016/04/15 Thank you for staying with us! 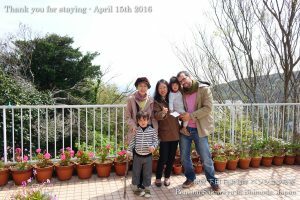 They are a family of Japanese and French. 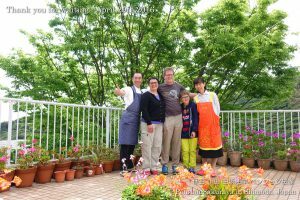 She has her house in Chiba prefecture, but she has lived in France with her husband for a long time, and her daughter lives in Thailand with her French husband and their children. That’s why they have a communication in both Japanese and French, and of course these two small children understand and speak in both 2 languages. 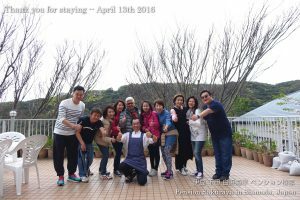 Thank you very much for staying with us for 2 nights. Take care of your long flight to France and Thailand. 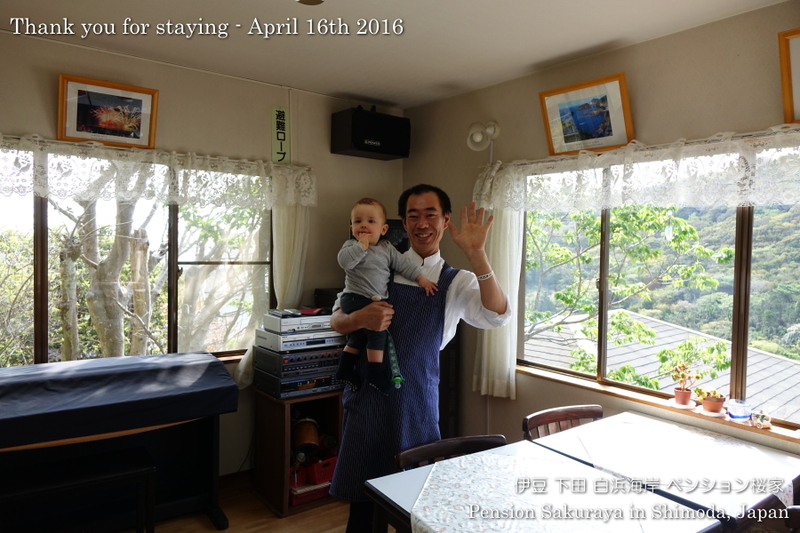 This entry was posted in Customers, Pension Sakuraya on 2016年4月15日 by izusakuraya. 2016/04/13 Thank you for staying. They came from Thailand and stayed with us for the 1st time. After arriving in Japan they stayed in Tokyo for 1 night and took JR Odoriko limited express train to Atami, and they came to Shimoda by rental cars. 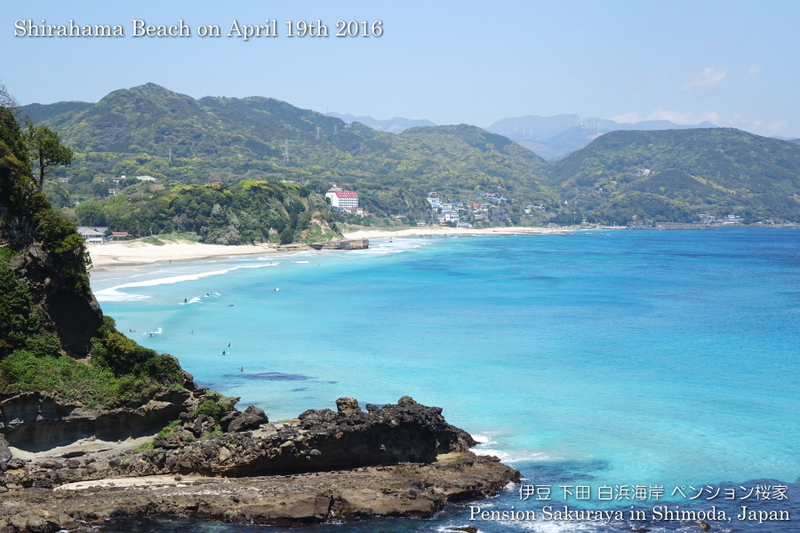 After check-out they went to Perry Road in Shimoda, Joren waterfall, Shuzenji, suspension bridge in Mishima, Shizuoka and Fujinomiya. Thank you very much for staying at Pension Sakuraya and present from Thailand!! This entry was posted in Customers, Pension Sakuraya on 2016年4月13日 by izusakuraya.